I got out early this morning with Mike. 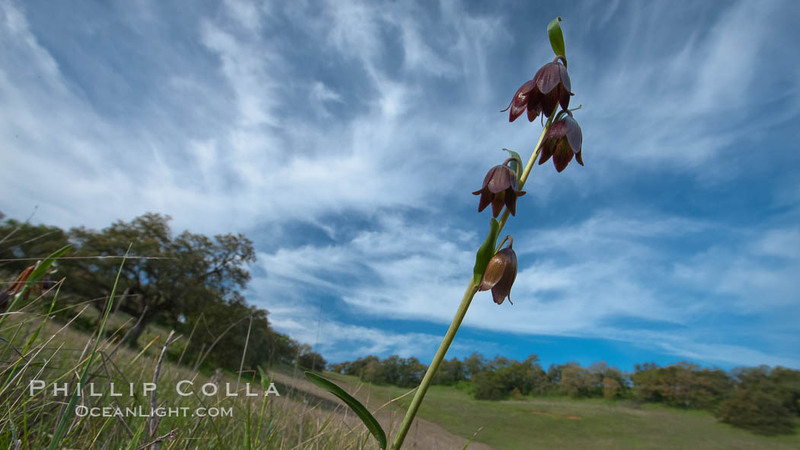 We went looking for chocolate lilies (Fritillaria biflora) on the Santa Rosa Plateau Ecological Reserve. We got there at sunrise. It was warm and clear. We found a lot of lilies. 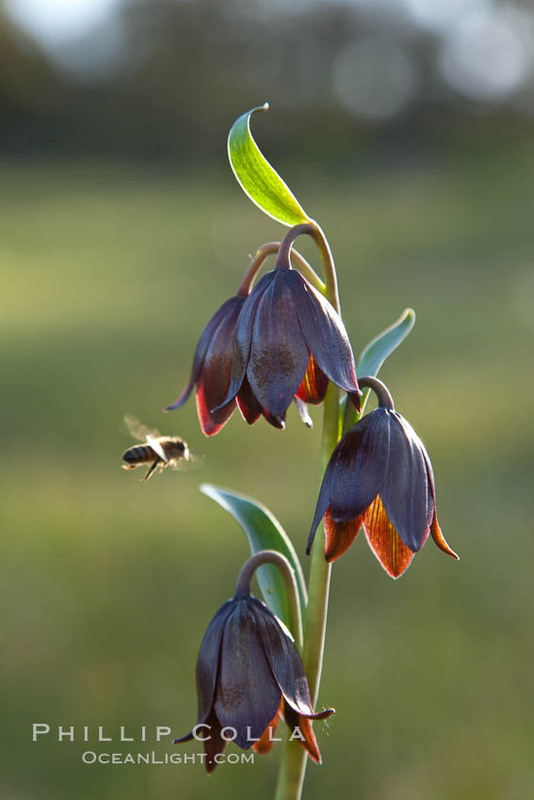 They were so dark brown I am declaring them to be a new sub-species, or at least a new variety: Super Double-Kahlua Belgian Chocolate Lily, Fritillaria biflora kahluensis belgiatica. Lucky for us the lilies were near peak, with some past and some coming into peak now. I spent some time shooting oaks and a big vernal pool panorama. I got back home by noon (yay, no ticks). 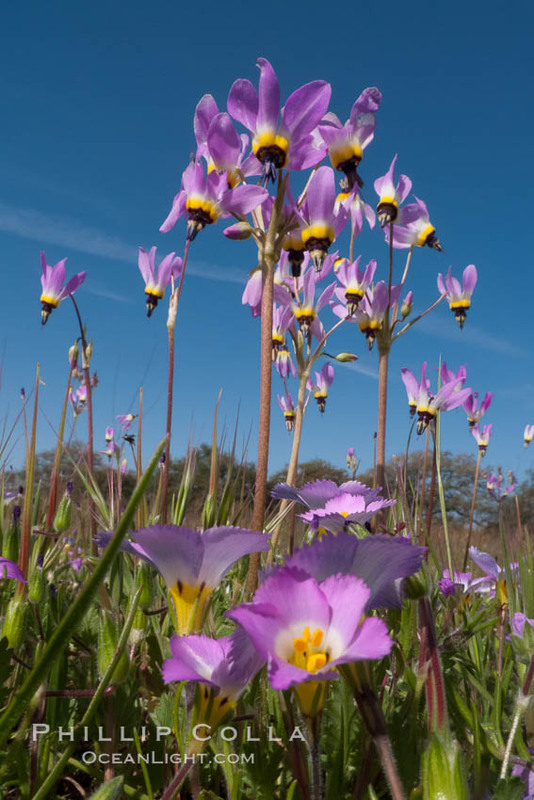 Shooting stars, a springtime flower, blooming on the Santa Rosa Plateau. 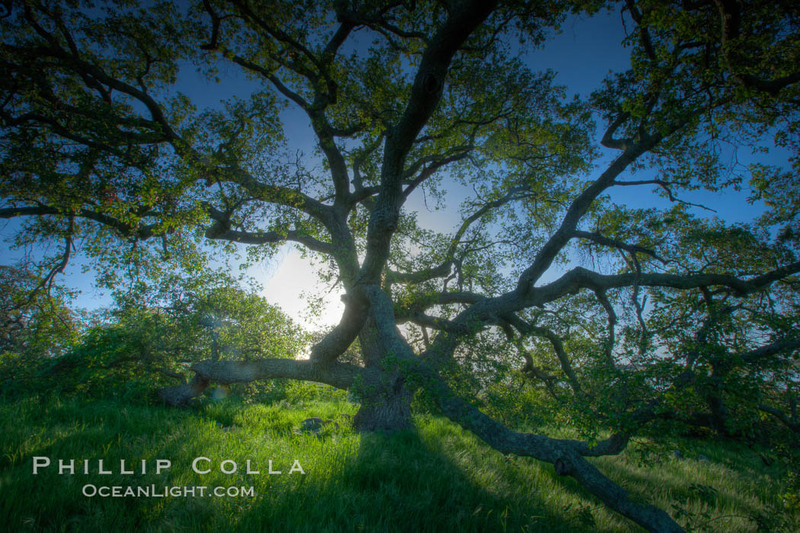 Oak tree at sunrise, Santa Rosa Plateau. 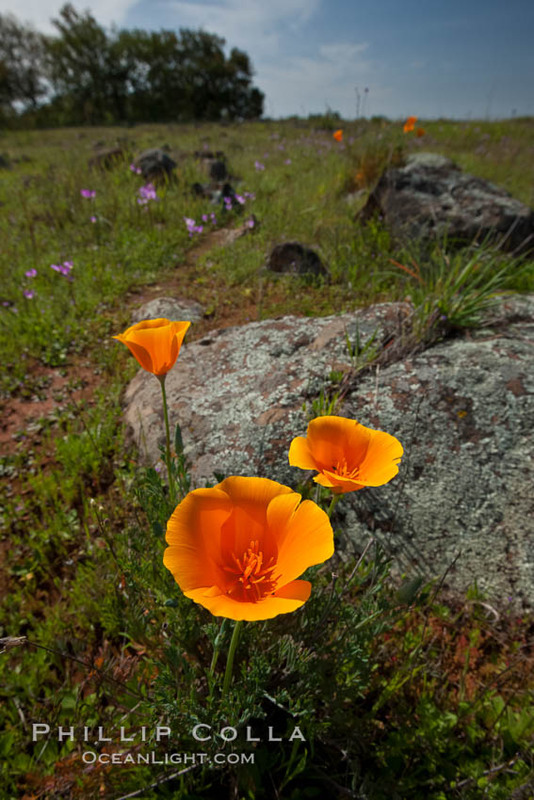 California poppies grow on Santa Rosa Plateau in spring. 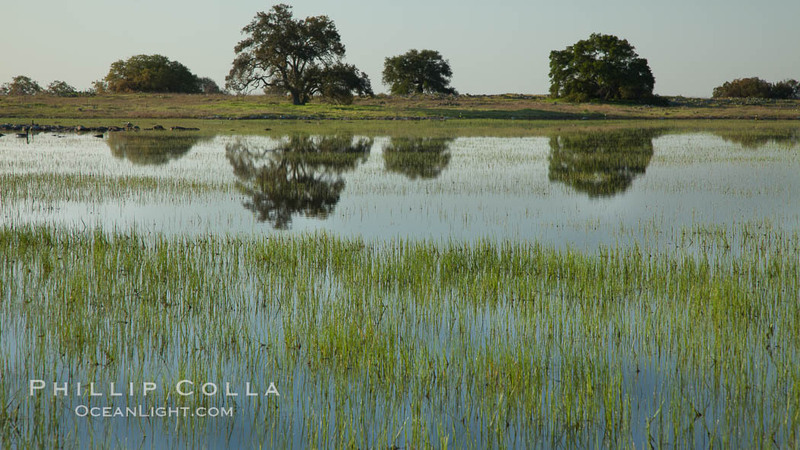 Vernal pool, full of water following spring rains, Santa Rosa Plateau. 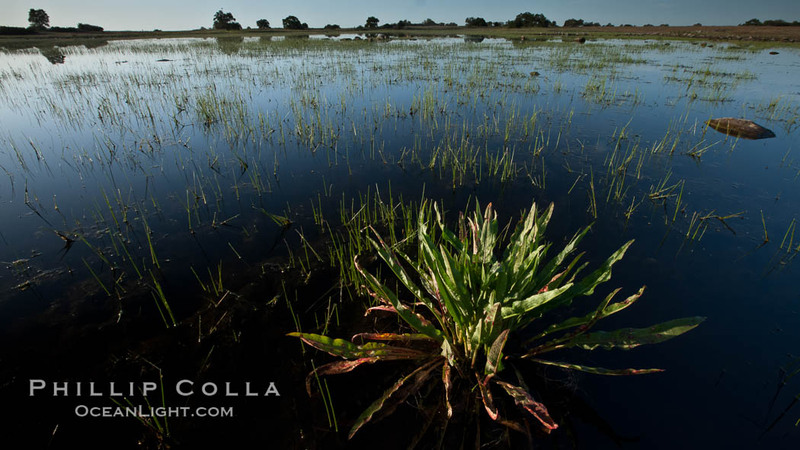 Panorama of a large vernal pool, full of water following spring rains, Santa Rosa Plateau.